The "complete and utter failure" of Ontario's corrections system to properly manage the solitary confinement of a mentally ill man in segregation for more than four years while awaiting his murder trial has led to a judge staying the charge. The "complete and utter failure" of Ontario's corrections system to properly manage the solitary confinement of a mentally ill man in segregation for more than four years while awaiting his first-degree murder trial has led to a judge staying the charge. Superior Court Justice John Fregeau handed down the ruling on Jan. 28 in Thunder Bay in the case of Adam Capay, but the reasons for the decision, along with most other details of the case, had been subject to a 2016 publication ban. The ban was lifted this week after the Crown indicated it won't appeal Fregeau's ruling, meaning Capay, now 26, of Lac Seul First Nation, won't stand trial for the killing of Sherman Quisses at the Thunder Bay Correctional Centre in 2012. Capay was released to his family after Fregeau's decision was handed down. Fregeau ruled Capay's time — totalling 1,647 days — in solitary confinement in jails in Thunder Bay and Kenora, after allegedly stabbing Quisses twice on June 3, 2012, violated four sections of the Charter of Rights and Freedoms. The violations were so "prolonged, abhorrent, egregious and intolerable" that staying the murder charge was the only appropriate solution, the judge said. "When exercising their statutory discretion in making segregation decisions regarding the accused, the complete and utter failure of correctional officials to properly balance the accused's charter rights with the statutory objectives can only be described as profoundly unreasonable, unacceptable and intolerable," Fregeau wrote. Capay's case drew national attention in 2016 when Renu Mandhane, chief of the Ontario Human Rights Commission, went public with what she saw when she toured the nearly century-old jail in the northwestern Ontario city. While there, she was told about and met Capay, who was being kept alone in his cell for 23 hours a day with the lights never turned off. The right of life, liberty and security of person (Sec. 7). The right not to be arbitrarily detained (Sec. 9). The right not to be subjected to cruel and unusual punishment (Sec. 12). The right to be equal before and under the law (Sec. 15). Capay and his legal team launched the charter application to halt the prosecution of his murder charge in 2017. In rendering his decision, Fregeau heard testimony from corrections staff as well as a number of experts in forensic psychiatry, human rights and correctional law and policy, including the use of segregation. Fregeau found the repeated reviews for inmates placed in solitary confinement, mandated by law, were rarely completed by corrections staff at the local and regional levels in Capay's case, and the few that were often used inaccurate and vague information. The judge also ruled Capay's numerous and serious pre-existing mental-health issues — brought on by a childhood marred by repeated physical and sexual abuse, domestic violence in the home, parental alcoholism and other intergenerational trauma — were exacerbated by his time in segregation, where he was continuously isolated with little to no human contact. Furthermore, Fregeau found Capay had access to few supports that could have possibly mitigated the effects of those conditions on his mental health. Evidence that was submitted showed Capay had a history of self-harm and hallucinations while in custody. The further deterioration of Capay's mental health and memory, brought on by his time in isolation, also would have made it impossible for him to mount a defence of not criminally responsible should the case go to trial, Fregeau ruled. He added that's the issue that would have been on trial, not whether Capay killed Quisses, which the judge's ruling said Capay conceded he did. "It's been pretty rough," said Debra Williams of the toll the case has taken on Capay and his family. Williams and Capay's mother are cousins. "We had ... tears of overjoyment," Williams said outside the Thunder Bay courthouse after Fregeau's decision was issued in January. "We prayed, and prayed and prayed." That joy was not shared by the family of Quisses, who was in his mid-30s, and his community of Neskantaga, a fly-in First Nation about 275 kilometres northeast of Thunder Bay. Chief Wayne Moonias issued a statement on behalf of the community and Quisses's family, saying his death "has devastated his family and severely affected our community." "Members of the Quisses family are still struggling to deal with their loss and are experiencing ongoing emotional distress. This decision revictimizes the family." The Crown conceded Capay's rights under charter Sections 7 and 12 were violated, but sought alternative remedies, including a reduced sentence should he be convicted, monetary compensation and a formal condemnation by the court of the conditions he endured. Fregeau rejected those as being insufficient. Capay was placed in segregation immediately after the attack on Quisses. Evidence showed, at the time, that he was reportedly having violent fantasies about harming corrections staff and other inmates, and experiencing hallucinations; one expert witness testified Capay was likely suffering from post traumatic stress disorder (PTSD) upon being put into segregation, and had "no doubt" he had developed a severe form of it, either exacerbated or triggered by his time in isolation. 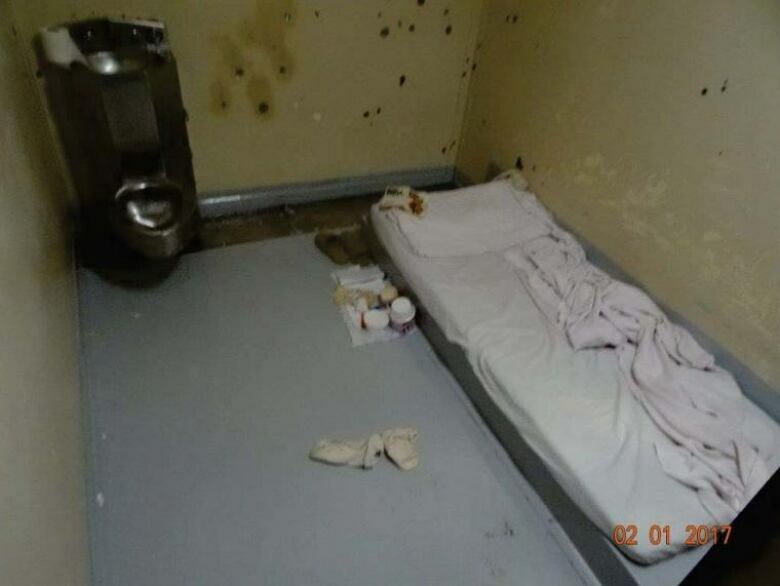 Provincial regulations state that each inmate placed in solitary confinement must have that placement reviewed after each five-day and 30-day period to determine whether continuous segregation is warranted. Those decisions must also be reviewed by regional officials, Fregeau wrote, with an eye on the regulatory basis and specific reasons for segregation, potential alternatives and "what accommodations could be implemented to mitigate the negative effects of segregation ... and whether the inmate has a mental illness." Evidence showed that during the first nine months, Capay's segregation was only reviewed three times by local corrections officials and, for over a year, was not probed by regional authorities "in any substantive or meaningful way." Further, evidence showed that, starting in late 2013, reports by evaluating psychiatrists stating Capay was no longer having any violent thoughts or fantasies were not included in subsequent segregation reviews; that appeared to last into 2016. "When you look at these reviews and you see from month to month, from year to year, they're exactly the same," testified Michael Jackson, an expert in correctional law and professor emeritus at the University of British Columbia. "People are filling our forms. They're checking boxes, but it's as if Adam Capay's disappeared. "It is obvious that the segregation review process in the case of the accused was meaningless at the institutional and regional levels," Fregeau wrote, adding Capay's years-long stay in isolation was "devoid of any meaningful oversight or review." Experts on human rights, including Ontario's chief human rights commissioner, described the segregation conditions in the Thunder Bay jail as among the worst they had seen. Those conditions were made worse by the little to no access Capay had to measures like daily yard time, more time out of his cell, better mental-health treatment and access to Indigenous ceremonies, Fregeau wrote, noting those were implemented after Mandhane's visit in 2016. "The evidence on this particular issue is overwhelming — for 4½ years, the ministry took absolutely no action in an attempt to mitigate the disproportionately negative impacts of prolonged segregation on this mentally ill inmate," Fregeau wrote. 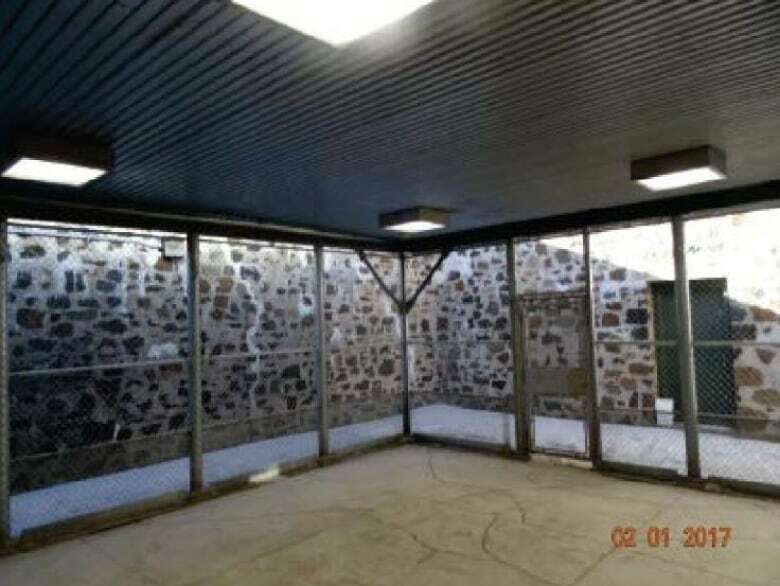 The deplorable conditions speak to a continued lack of resources for Ontario's jails, said Michael Lundy, a former correctional officer at the Thunder Bay jail who alerted Mandhane to Capay's situation in 2016. Lundy is now the vice-president of the local Ontario Public Service Employees Union at the Thunder Bay Correctional Centre. "These kind of conditions are inside many of our jails right now," Lundy said. "There's a lack of infrastructure, there's no place to house those that are suffering from mental illness that need to be kept away from the general population for a variety of reasons. "It would be like telling a carpenter to build a house with a hammer and nails and wood, and then not giving him the hammer and the nails," he continued. The jail was severely understaffed during the years Capay was there, Lundy said. He said key positions like a program officer weren't filled, and the jail only had one social worker and not enough officers to facilitate enough yard time for all inmates. 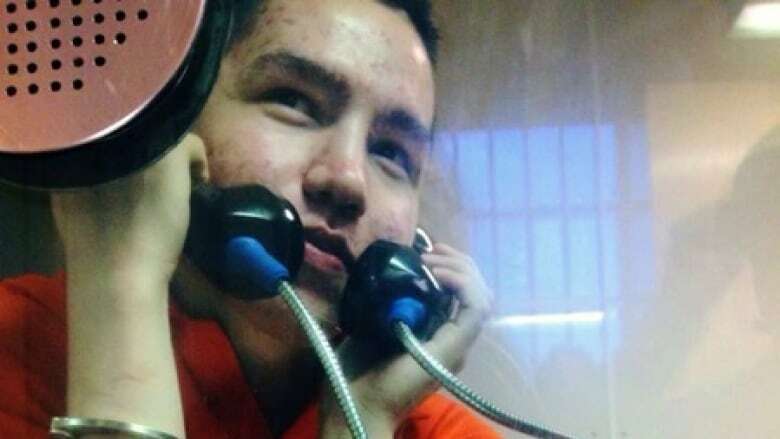 Capay's deteriorated mental health during his time in custody, which unchallenged expert testimony said was due to his treatment while in segregation, would also impair his ability to mount a legal defence against his first-degree murder charge. Dr. John Bradford, an expert witness in forensic psychiatry, testified the lack of attention paid to Capay's mental health, especially around the time of Quisses's death and he was placed in solitary confinement — combined with his assessment that Capay's time in segregation left him with no memory of the attack — would make it "very difficult, impossible" to make a proper assessment of criminal responsibility. Fregeau ruled the state's treatment of Capay robbed him of his ability to properly mount a defence, including testifying about the attack and properly instructing his lawyers. Fregeau's decision is another scathing piece of evidence that segregation in Ontario's jails and correctional facilities needs to end, said Mandhane in a letter to Sylvia Jones, the province's minister of community safety and correctional services. The human rights watchdog wrote that she warned the previous Liberal government "it was not placing sufficient emphasis on protecting the human rights of prisoners," and segregation continues to be overused in Ontario and doesn't appear to be decreasing. 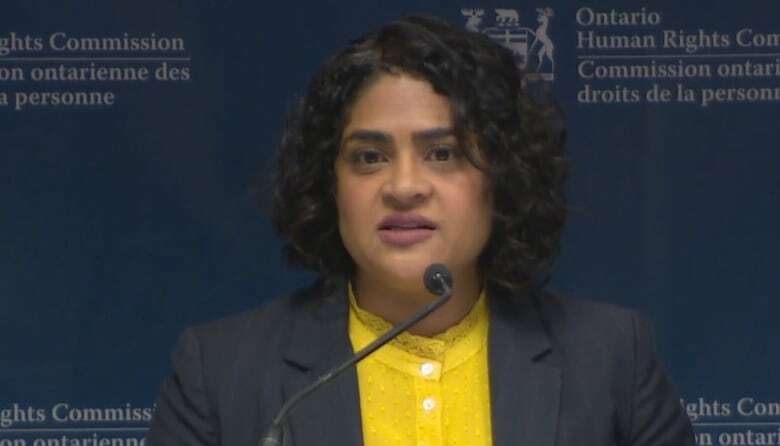 With the release of the Capay decision, Mandhane wrote "the people of Ontario will expect the government of Ontario to take active steps to address the grave human rights issues associated with the continued use of segregation." Phasing out the use of solitary confinement in general. Strictly prohibiting segregating prisoners who have mental health issues, including those who self-harm or are suicidal. Strictly prohibiting segregating inmates indefinitely. Mandhane's letter also called for changes to "meaningfully address the unique circumstances of Indigenous prisoners," including ensuring services that meet appropriate cultural and linguistic needs are provided. "I encourage you and your government to be leaders at this pivotal moment," she wrote.